The author of two widely acclaimed books on cryptocurrency offered advice to developers building ethereum, the world’s second-largest blockchain, this weekend, arguing they should be careful to avoid fragmenting their technical community through infighting. 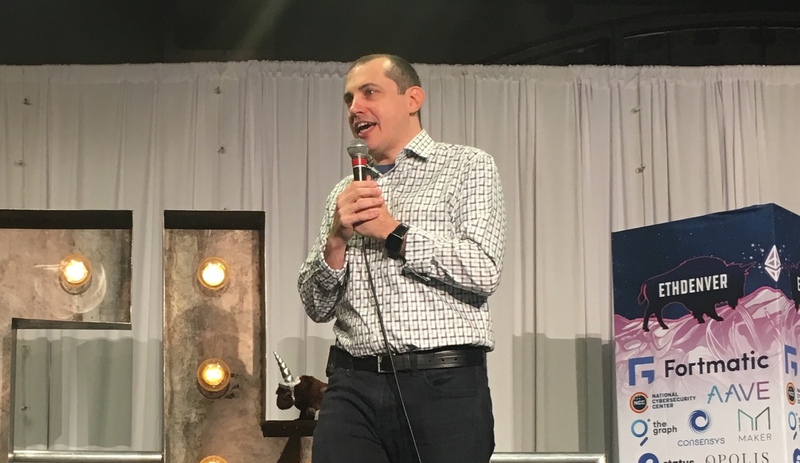 Andreas M. Antonopoulos, whose books “Mastering Bitcoin” and “Mastering Ethereum” are now standards for developers learning both protocols, gave a keynote address about the importance of building “unstoppable code” to hackers and enthusiasts at ETHDenver, a conference that drew thousands to Colorado to discuss the future of the protocol. “Don’t give yourself the power to stop unstoppable code. Embrace the fact that what we’re doing is important and it requires courage,” he said onstage. Antonopoulos’ remark went on to acknowledge the effects of market decline, in context of which ethereum’s main cryptocurrency, ether, has dropped in value from $1,100 to just over $100. Speaking to CoinDesk, Antonopoulos argued that he expects depressed market conditions to add pressures to existing online debates. “The really most extreme maximalism we’ve seen comes at the absolute peak of the bear market or the trough of the bear market when people are feeling very afraid and threatened,” said Antonopoulos. Antonopoulos went on to call on others within the ethereum community to stand up in future instances in which those propelling the project forward are subjected to undue abuse. “The bystander effect is very insidious, but it’s also very easy to beat and the way you beat it is by having one courageous person. That’s all it takes,” said Antonopoulos later to CoinDesk. Antonopolous’s words have taken on a new resonance, however, in light of the subsequent departure of ethereum core developer Afri Schoedon who quit the project this week over attacks launched against both himself personally and his work on the open-source software. Schoedon’s decision to leave ethereum was spurred by an onslaught of criticism over a contentious tweet he made Thursday comparing ethereum to blockchain interoperability protocol Polkadot, which also has its own cryptocurrency. Further, voices in ethereum, including the community relations manager for it’s leading non-profit, the Ethereum Foundation, have denounced the online abuse aimed at Schoedon. Several other prominent members of the community on Twitter and Reddit have since spoken equally as adamantly about the need to call out and reject hateful commentary online. Such actions are, in the viewpoint of Antonopoulos, exactly how real change can occur within communities – crypto or otherwise.